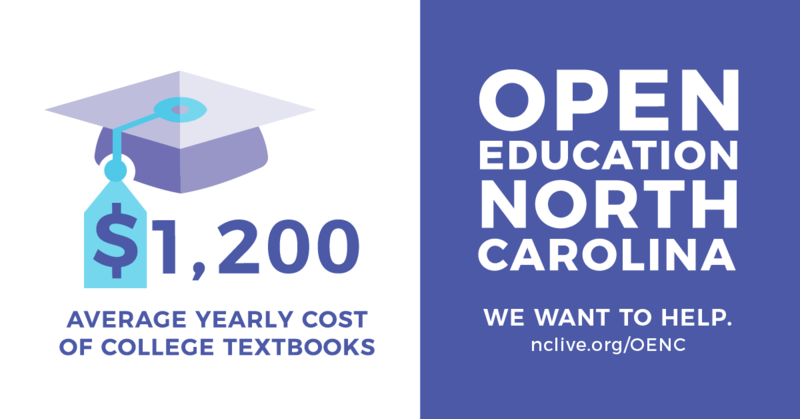 Open Education North Carolina is an initiative that aims to reduce the cost of higher education for North Carolina students by providing free, open textbooks for 30 of the most frequently-taught courses across North Carolina’s 2 and 4-year colleges and universities. 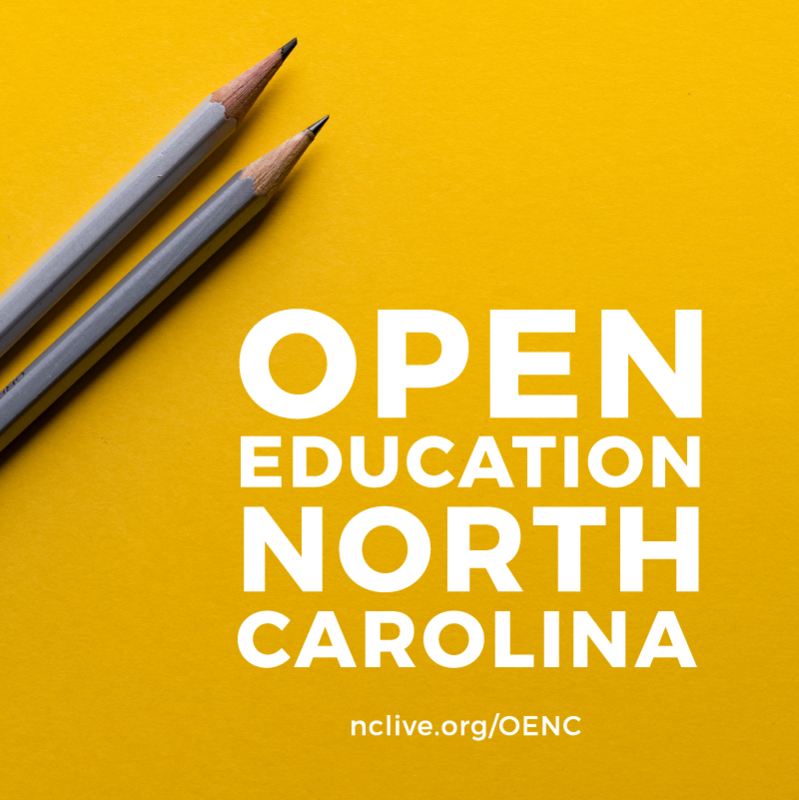 On this page, you'll find materials to help you promote workshops, grants, and the adoption of OENC at your institution. 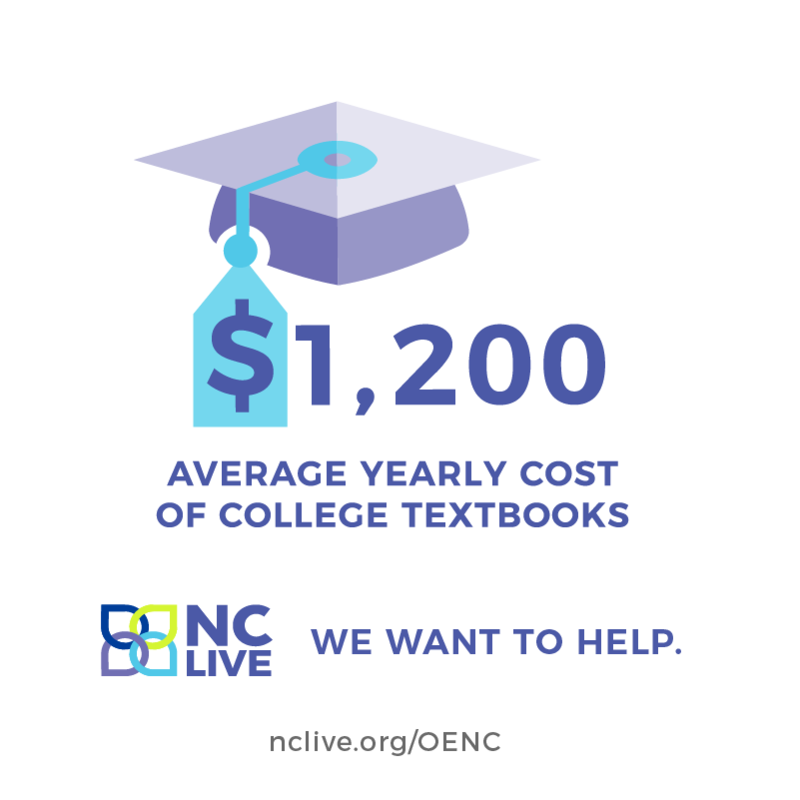 Read more about the initiative at nclive.org/oenc. 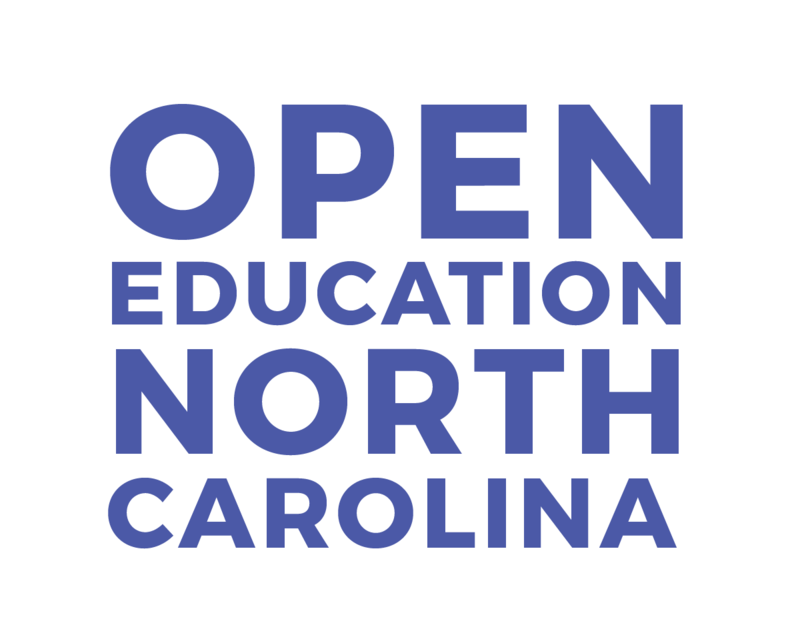 Below are some logo graphics for Open Education North Carolina. 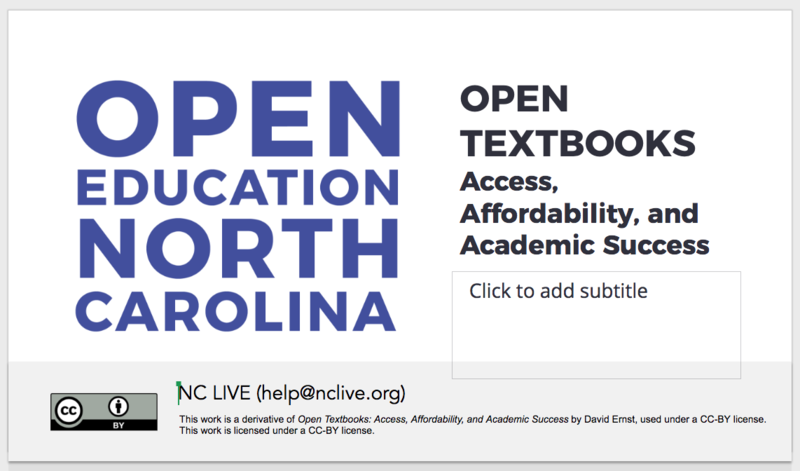 Right click and Save As to download at full size (note that there is a white-text PNG file between the second and fourth graphics below). 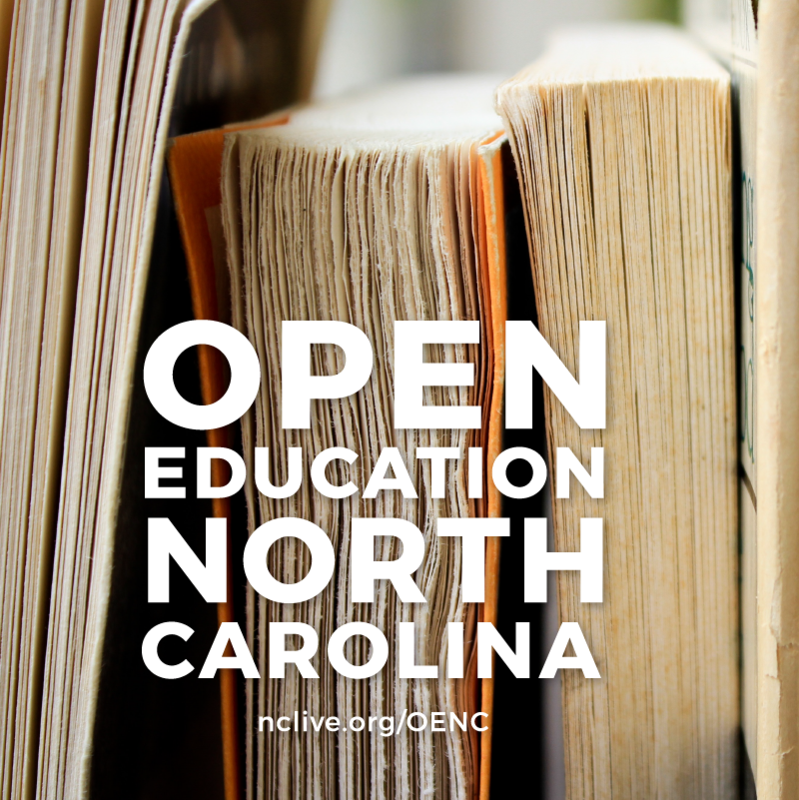 Slide deck from OENC Workshops. Last updated March 25, 2019. 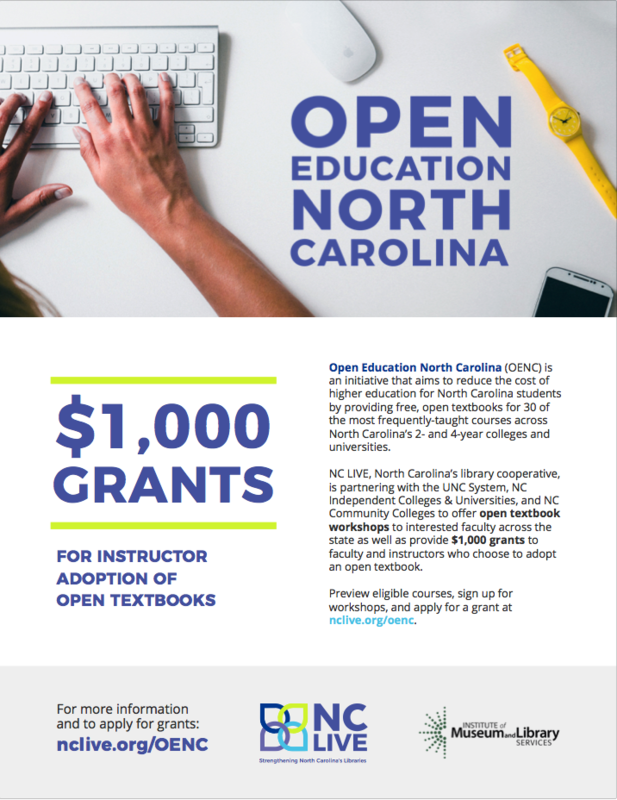 PDF promoting $1,000 grants available to faculty and instructors for adoption of open textbooks. 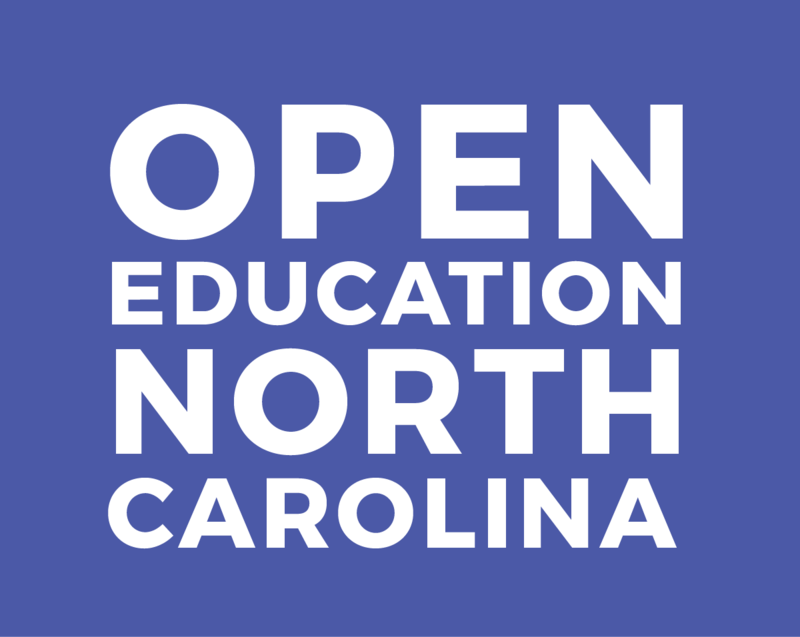 PDF giving an overview of OENC, list of courses for adoption, and links to more info. 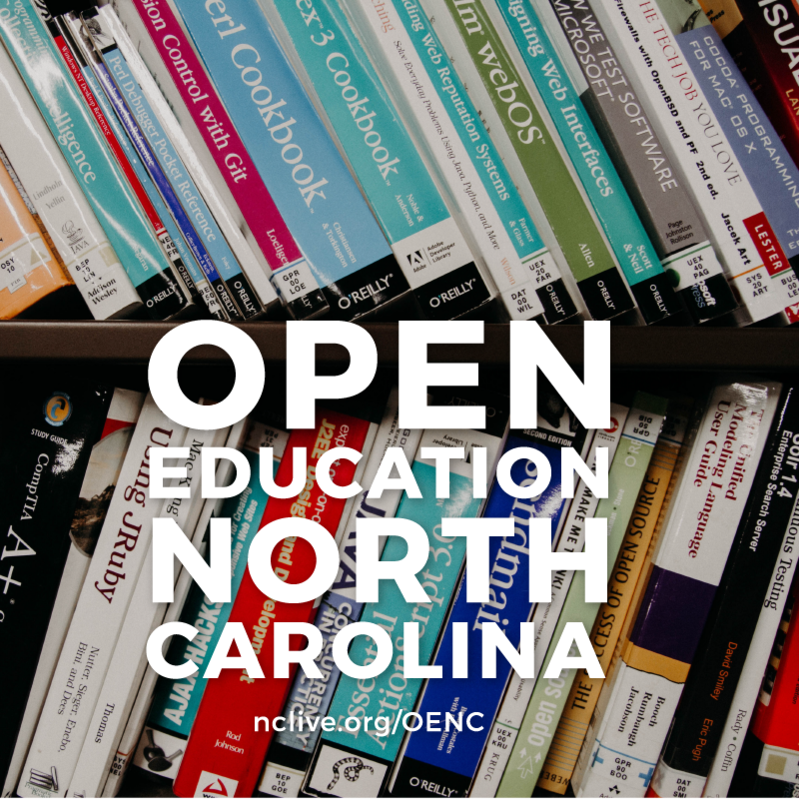 Graphics to use on social media or in custom handouts. Right click and Save As to download at full size.